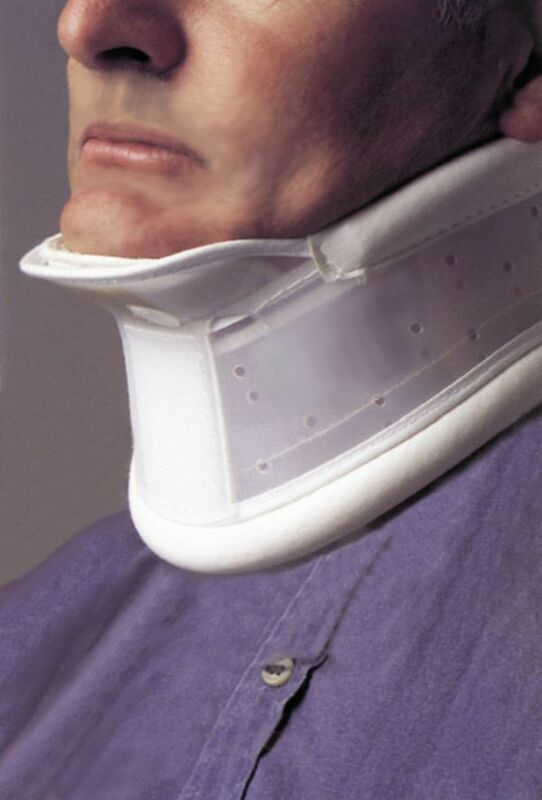 It is a plastic cervical collar, adjustable in height using two small screws. The upper and the lower part are made of elastic foam covered with leather. It has also a chinstrap. Closes with velcro. Indications: Cervical syndrome, torticollis, cervical myalgia, dislocations. Sizes: 1 (30-35 cm), 2 (35-40 cm), 3 (40-45 cm). Neck circumference. Lower adjusting point: 8,5 cm.